MS Cheah Pei Zhen had never heard of the Singapore-Industry Scholarship (SgIS) until she attended a talk on working in Singapore. At that time, she was in the second year of her Master in Engineering degree at Imperial College London in the United Kingdom. 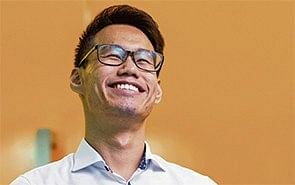 The scholarship was relatively new then but it appealed to her as she was interested in working in reputable Singapore-based companies. 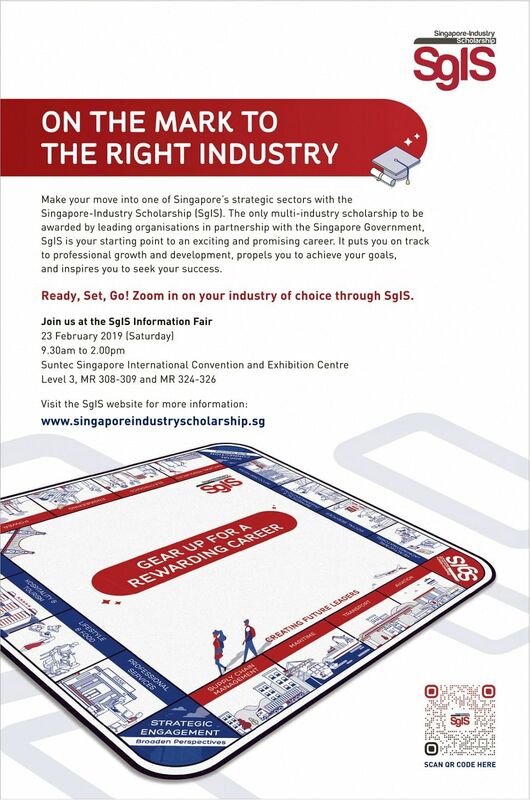 Established in 2012, the Singapore- Industry Scholarship (SgIS) is a multi-industry scholarship in partnership with the Singapore Government. This unique partnership aims to groom potential candidates into future leaders, with participating organisations lending their expertise to develop their talent in various industries and contribute to nation building. It offers full-term, mid-term local and mid-term overseas options, and comes with a bond with the sponsoring organisation. 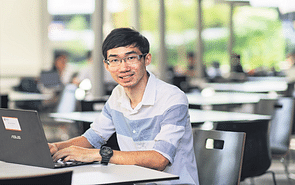 Ms Cheah, who received the mid-term overseas option, found it perfect as she was keen to find a job soon after graduation. “The online application process is straightforward. Under a single application in the portal, an applicant can apply to several organisations. 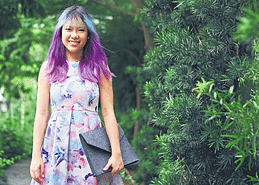 I was able to apply to five companies at one go,” she says. Scholarships are offered across industries such as engineering, electronics, aviation, hospitality and tourism, power, maritime, healthcare (administrators), arts and social services. She says: “Being awarded the scholarship was a blessing. It was enough to cover my expenses during my final year in school, and ease the financial burden - for me and my family. Upon graduating last year, Ms Cheah joined Boustead Projects E&C as a site engineer. Her job involves being on site supervising, inspecting and coordinating with sub-contractors in order to ensure all work has been carried out according to standards. 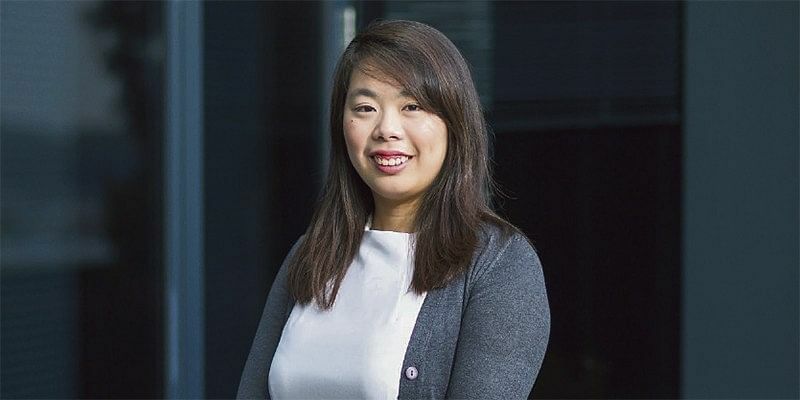 The Singapore-based industrial real estate solutions provider provides Ms Cheah support and aid in both her personal and professional development as she serves her three-year bond with the company. The engineering field is typically male-dominated, but Ms Cheah feels that it is the most natural choice for her. Never once did she think that her interests made her feel less feminine. She says: “My family and friends who know me well were not surprised when I applied to study civil engineering. They were supportive and confident that I would do well. Even while studying at Imperial College, Ms Cheah did not feel outnumbered by her male classmates. She recalls that the ratio of male to female students was around seven to three. Instead of the gender divide, she noted that everyone was equally outstanding and capable. “Maybe the gender divide is more obvious in Asian countries, but I do hope that eventually those views can be changed and renewed. I don’t believe in there being a specific gender for any job,” she says. One of the most memorable moments as an undergraduate was when she worked on site in Singapore as part of her internship. She says: “It is not every day you get to go behind the scenes of a construction site. Ms Cheah says her internship with Boustead Projects E&C helped her to bridge theory and practice. She also got exposure to working life and Boustead’s company culture. This made the learning curve more manageable. “I got to know my colleagues, which made my transition from being a student to a working adult less scary and intimidating,” she says.